We help you find and fix issues with your cloud apps fast. 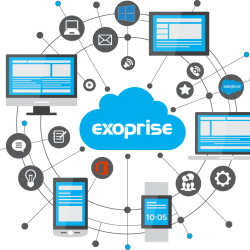 Exoprise is the leading solution provider for monitoring SaaS services like Office 365, Box, Dropbox, Salesforce.com and more. 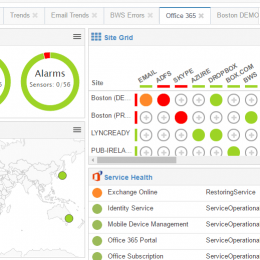 Monitor the entire Office 365 suite including Exchange Online, SharePoint Online, Skype for Business and everything in-between. Troubleshoot, detect outages and guarantee SLA compliance for any SaaS or Web application from behind the firewall or from locations throughout the world. 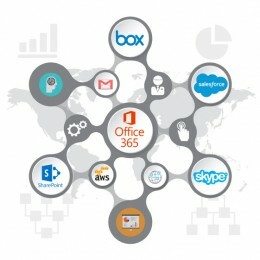 Monitor All of Your SaaS services like Office 365, Salesforce, Box & Skype from the same single pane of glass. Detect outages and fix problems before they impact your business. From real-time alarms and troubleshooting to long-term SLA trending. Behind your firewall or out in the cloud — CloudReady sensors can be deployed anywhere for any app & any network. Instant network benchmarks. See how your bandwidth, latency, and cloud health compares to enterprises from all across the globe. 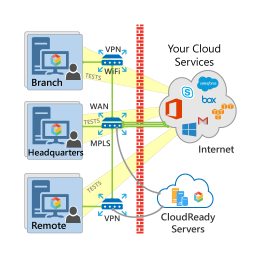 Deploy anywhere — any branch, any laptop, any device for continuous end-to-end network visibility. Deep and wide with complete support for SharePoint, Exchange Monitoring, Microsoft Teams, Skype for Business and Everything-in-between. Monitor the end-user experience for any Web App, any Cloud, Any Location. Know instantly when there’s an outage and where to fix it.